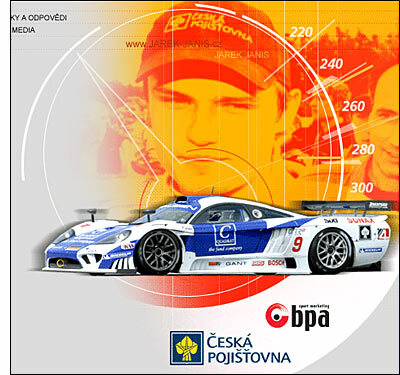 Jarek (Jaroslav) Janis is making quite an impression in the FIA GT Championship this season. A closer look at his performance at Mugello yesterday (September 17) reveals what a stunning drive it was, in the third hour of the race. 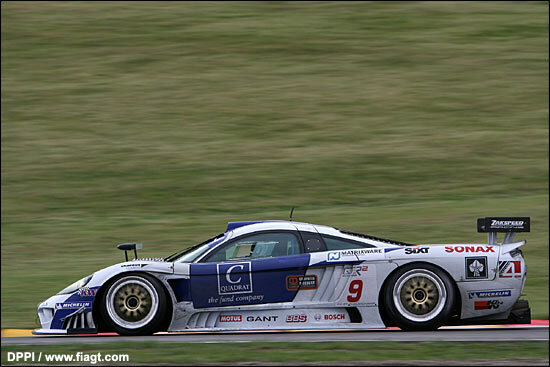 Andrea Montermini pitted the Zakspeed Saleen on lap 56, having been 33 seconds behind race leader Philipp Peter. Janis took over on intermediates, and lap times at this stage were typically around two minutes, with inters and slicks producing very similar laps. On lap 61, Janis lapped in 1:58.837, but Wendlinger, on slicks, set a 1:57.322 – and headed the Saleen by 36 seconds. A lap later and the Red Bull Aston Martin was the first car into the 1:56s – and Janis pitted for slicks, the Zakspeed car’s third stop. By lap 64, both Vitaphone Maseratis had made their second stops, fitting slicks, and now it was a straight race to the flag. Janis was 76 seconds behind the leader, Wendlinger, with 22 laps to go. At the flag, the gap from Wendlinger to Janis, in fourth, was under six seconds. He’d gained an average of 3.2 seconds per lap – and that included one slow lap, which was his trip through the gravel, after trying to run round the outside of Andrea Piccini at the first corner. So his best lap was over 2.4 seconds quicker than anyone else’s – a staggering difference. We need to accept that not every car necessarily had the quicker (quickest) driver at the wheel for the last stint, and that the pattern of the race was established, with a fairly clear 1-2-3 (as long as the podium finishers weren’t easing up too much), and that rain was falling at the end, and neither of the first three was prepared to lose out on a win (Wendlinger) or good points (Bartels and Biagi) – but even so, it was another superb display from the Czech driver. Looking at his best three sectors, he was over 1.1 seconds quicker than Biagi in the first sector (48.753 to 49.879), over seven-tenths faster than Biagi again in sector 2 (34.215 to 34.971) and over half a second faster than Babini in the third sector (25.773 to 26.307). Those three best sectors add up to make an ideal best lap of 1:48.741, against Piccini’s ideal best of 1:51.293. Yes, but when he is on a charge, such as at Dijon or Mugello, it’s the uncertainty that is part of the thrill – not knowing where or when he’s going to rip past someone. He blasted round the outside of Fabio Babini at the first corner at Mugello, and in trying to repeat the manoeuvre on Andrea Piccini, contact was made, sending the #9 Saleen into the gravel. Without that ten second delay, could he have won the race – or would the three ahead of him gone that little bit quicker, and stayed just out of reach? Almost certainly: on the last lap he was either side of four seconds faster than Biagi and Bartels and six seconds faster than Wendlinger. 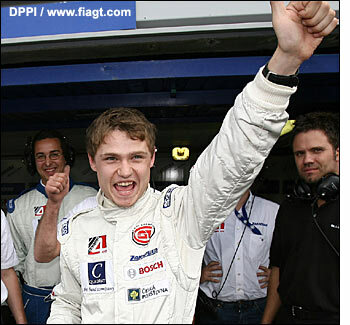 Janis first came to the attention of sportscar followers in 2001, as understudy, if you like, to Tomas Enge, in the short-lived Lanesra Panoz LMP1, the car run by Dave Sims, now Risi Competizione team manager. Janis and Enge raced together at Most in the European Le Mans Series race - to third place. Janis was only just 18 then, but five years later, he seems ready to take on the world. 'People in the know' then said he was the real deal - and were spot on. Fiona Miller reminds us that he also drove the MenX 550 in three of the 2005 LMES rounds, winning at Silverstone, second at Monza and fourth at Nurburgring (should have been second but Peter Kox incurred three penalties). He's pictured just after setting pole at Dijon recently. He missed the Paul Ricard event this year, but good points at every other event sees him 16 points behind Bartels / Bertolini, with three races left.